Home favourite Michael Teuber, a five-time Paralympic champion, will perform an attempt for the International Cycling Union (UCI) hour record tomorrow when the third round of the 2018-2019 Track World Cup gets underway in Berlin. 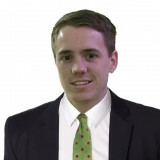 Teuber's attempt will be one of the highlights of the first day of competition at the German capital’s Velodrome. "I am proud to be the first rider who makes an hour record attempt during a World Cup," the 50-year-old said. "I am happy to get this platform for a Para-cycling event and I hope to motivate other riders to try as well." Teuber himself has held the record in the C1 class since May 2005, when he realised 39.326 kilometres. "Back then, I was perfectly satisfied with the performance, but now, I want to break the 40-kilometres mark at least," he said. "In fact, I will choose a harder gearing and my timeline will target 41 kilometres or more. "The actual equipment makes a huge difference and I know that my form is now better than in my 30s." Teuber is Germany's sole male Paralympic track cycling champion in history having claimed gold in the individual pursuit LC4 event at Athens 2004. Since 2012, however, he has focused all his attention on the road time trial, an event in which he has won four Paralympic titles. "I think I can take advantage of my extensive road time trial training," Teuber said. 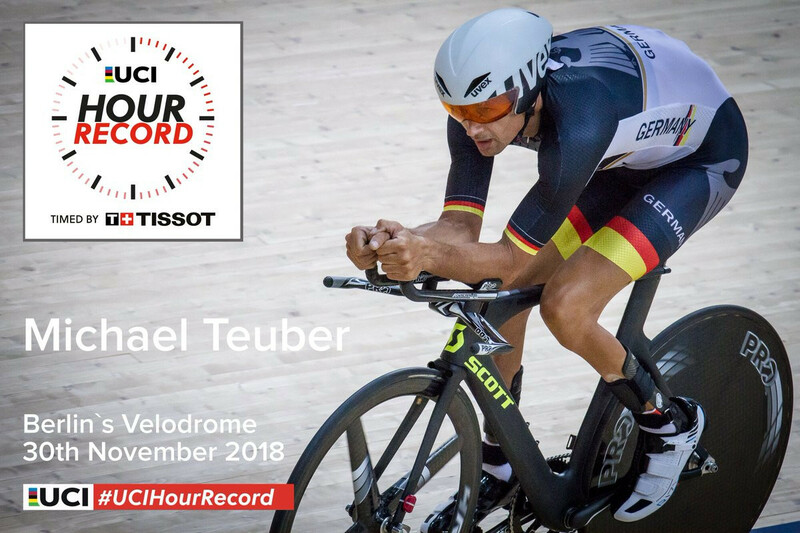 Martin Wolf, general secretary of the German Cycling Federation, added: "We are happy that we managed, in cooperation with the Senate of Berlin, to integrate Michael Teuber's hour record attempt into the programme of the Track World Cup. "This is a strong sign for inclusion and a signal for further consideration to projects of this kind in Berlin." The three-day event will also see the return of Germany’s Kristina Vogel to a major track cycling meet for the first time since a training accident that left her paralysed. She has been doing her rehabilitation in Berlin. In a video posted on the UCI Track Cycling Twitter page, Vogel confirmed that she will be at the session on Saturday (December 1). "First of all, I wanted to say thank you to the masses of messages that I've got from you," she said. "The past few weeks and months have been hard, I'm not going to lie, but to read the messages from you have made me feel so much better and have given me so much strength and power, and have motivated me. "I hope to see you at the Track Cycling World Cup in Berlin because it's in my town and I’m doing my rehabilitation here in Berlin. "I want to see you because I miss you all so much. "I miss competing and seeing you competing. "I want to see my friends from all over the world." Vogel has won 11 world titles and the crash in Cottbus was not the first serious incident of her career. She was put into an induced coma in May 2009 after being hit by a car during a training session.